An officer checks a school hall during last week’s training exercise at Hurst. The screams and pleas for help from injured and panicked students to the armed officers flooding the hallways of Harry Hurst Middle School were jarring, as much so as the sound of fired rounds—thankfully, and mercifully, this was only a training exercise. 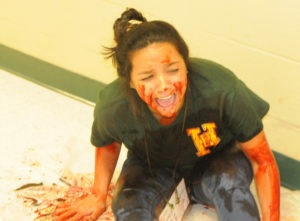 But horrific as the thought may be, such scenarios do indeed exist in today’s world, and it’s why the St. Charles Parish’s Sheriff’s Office, public school system and emergency responders participate in the kind of joint training exercises that happened at Hurst Friday. While the hope is the knowledge gained through this practice run — in this case, a simulation of a shooter or shooters opening fire within the school during a typical day of classes — it acknowledges that you can never be too prepared. “What this training does, is when a real event happens, as we all know, there’s panic and confusion. 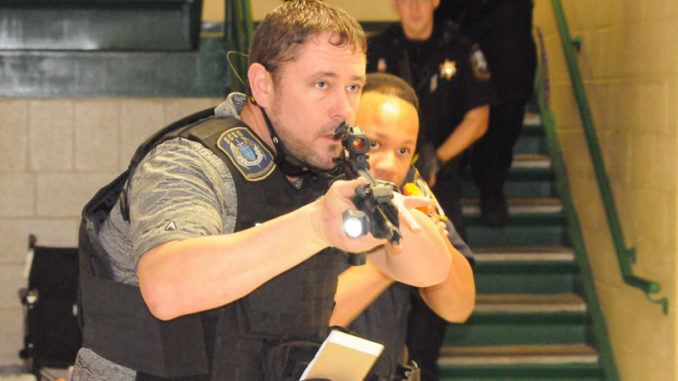 For law enforcement and military training, we train where reaction becomes a habit and you can put panic aside to some degree, know what their job is and do it for force of habit,” said St. Charles Parish Sheriff Greg Champagne. “You revert to the level of your training. The training exercise is held at one parish school every other year. It’s earned national recognition and awards over the years and has inspired the beginning of or changes to similar drills in other states. The idea is to mimic a mass casualty event, such as an assault on a school or terror attack, and serve as a training exercise for school staff, law enforcement, fire departments, hospital workers and other assisting agencies. An officer with a student role-player during Friday’s training exercise at Hurst. The last occurrence of the exercise came in 2017 at Hahnville High School, which was the first time a high school venue had been used. Friday represented the seventh year St. Charles Parish has held the joint exercise, which Champagne said provides preparation to respond not only to a threat or situation at a school facility, but one anywhere, be it a business, public building or other setting. 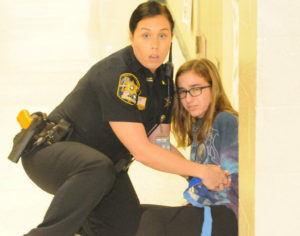 A number of student role players assisted with the exercise, acting as the wounded and frightened and giving responders feedback during the simulated event, such as where the shooter was last seen or what they saw as the shooting was unfolding. Teachers and other school administrators also participated in order to drill and learn how to approach such an event were it to occur. The officers and other response personnel treat the exercise as they would — or as close as possible — to a real scenario and the intensity of such was felt by several nearby onlookers who had the chance to watch the exercise unfold. Champagne said the training for his officers is only part of the equation. Parish schools superintendent Felecia Gomez-Walker concurred with the exercise’s value. Champagne said the exercise is one part of a comprehensive program that has progressed over the years since the infamous Columbine High School shooting incident in 1999. He notes the focus lay not only with response, but prevention. Joint training exercise has been held bi-annually; Friday at Hurst marked the seventh occasion. Last occurrence was held at Hahnville High School in 2017. It is meant not only as a means to train law enforcement and other first responders, but also school personnel . 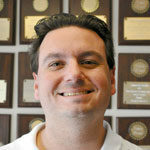 Comprehensive program began to evolve after Columbine shooting in 1999.